Gunnamatta, VIC/AUS (Sunday 17th February 2019): The goofy-foot combination of Cole Fox (Jan Juc) and Sage Goldsbury (Cape Woolamai) have taken out the premiere U/18 Boys and Girls divisions in pumping waves at Gunnamatta Ocean Beach. With unbelievable conditions all day, both surfers were able to put their best backhand surfing to the test and come out victorious over their fellow competitors. The U/18 Boys division saw all surfers perform to an amazing standard in the battle of 4 standout performers all from Jan Juc. The boys were able to nail the criteria to a tee, surfing critically and getting high risk on the big sections. In a tight affair with the waves pumping, it was Cole Fox (Jan Juc) who defeated his fellow competitors with a high score of a 7.47 point ride on a right hander where he did two big turns in the critical part of the wave to put the final out of reach for his fellow competitors. “It feels really good to get the first win of the year here at Gunnamatta with the wave pumping like they were today". Fox said. "My goal is to hopefully win the next two Victorian titles at Phillip Island and Jan Juc and qualify for the Australian Titles". Coming in second was Spencer Kay (Jan Juc), Noah Clifford (Jan Juc) finished in third and fourth went to Cooper Downes (Jan Juc). The U/18 Girls division saw former Australian champion Sage Goldsbury (Cape Woolamai take out a ripping final in fine fashion. Goldsbury locked in an 8.5 and a 8.33 in the final to set her up to get a maiden win in the U/18 age group. After moving up from the U/16 Girls division in which she finished runner up last year, Goldsbury showed her credentials as to why she is a past Australian champion and Australian ISA team member, holding the rest of the field in a combination situation. “ I'm super stoked to win the first event of the year here at Gunnamatta in such fun waves where I was able to get some pretty good scores". Goldsbury said. "I definitely want to make the Australian Titles again so this was a good start to the year, and hopefully make the ISA World Surfing Games again which I am super excited to be surfing in later this year from qualifying last year". Finishing in second was Angelique Kefalas (Jan Juc)), third was Angela Ball (Jan Juc) and Lucy Naylor (Point Lonsdale) finished in fourth. With a record in entries in the U/14 Girls the standard was going to be at a new high and the final certainty didn’t disappoint. Sara Hickson (Rye) was too strong for her fellow counterparts putting together an impressive heat total of 15.00 out of a possible 20 point total. This included an impressive 8.00 ride and a backup of a 7.00 point ride which saw her perform some nice manoeuvres in the pumping rip bowl conditions. Isla Huppatz (Jan Juc) finished in second with Sarsha Pancic (Blairgowrie) coming in third as fourth went to Eva Bassed (Sandy Point). The U/14 Boys was a hotly contested division with all surfers having breakout performances this weekend. Willis Droomer (Torquay), Jack Bassett (Ocean Grove), Isaiah Norling (Ocean Grove) and Lucas Hickson (Rye) surfed all exceptionally well, but it was Willis Droomer who was victorious. 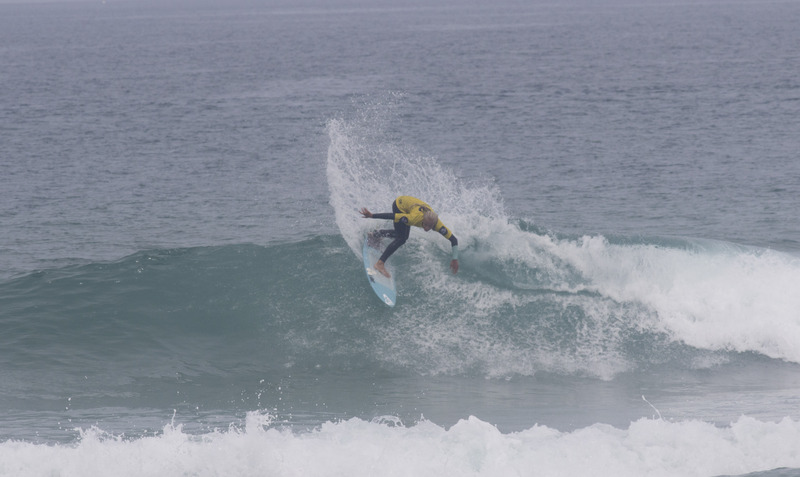 Droomer was able to blast some airs and commit to some exceptionally critical turns on the wave face to get the win. Droomer needed a score with 10 seconds remaining and was able to bank the go ahead score and secured an 8.00 ride to send Lucas Hickson to second place. Third was Jack Bassett and fourth went to Isaiah Norling. The U/16 Girls division was a highlight division with the Gunnamatta rip bowls really turning it on during their final. Former Australian U/14 Champion Ellie Harrison (Barwon Heads) was too strong for the fellow girls in her final. Harrison was able to put up two strong scores of an excellent 8.67 and a 7.00 ride to take out a great win. Jazz Wylie (Jan Juc) came in second, Mia Huppatz (Jan Juc) finished in third and Emily McGettigan (Torquay) came in fourth. With both semi finals going down to the wire, it was Charlie Mahoney (Ocean Grove), Ethan Huxtable (Jan Juc), Paddy Hughes (Jan Juc) and Charlie Farrer (Barwon Heads) who made it into the U/16 Boys final with some incredible surfing. In arguably the best final of the day all surfers surfed incredibly well and it shaped up to be a nail biter for all spectators. It went down to the absolute wire, but it was Ethan Huxtable (Jan Juc) who got a clutch 8.17 point ride in the dying minutes to get the win. Huxtable finished with a 15.44 total out of a possible 20 points. Coming in second was Paddy Hughes with a 13.64 total, third went to Charlie Farrer (13.50 total) and coming in fourth was Charlie Mahoney (12.50 total). 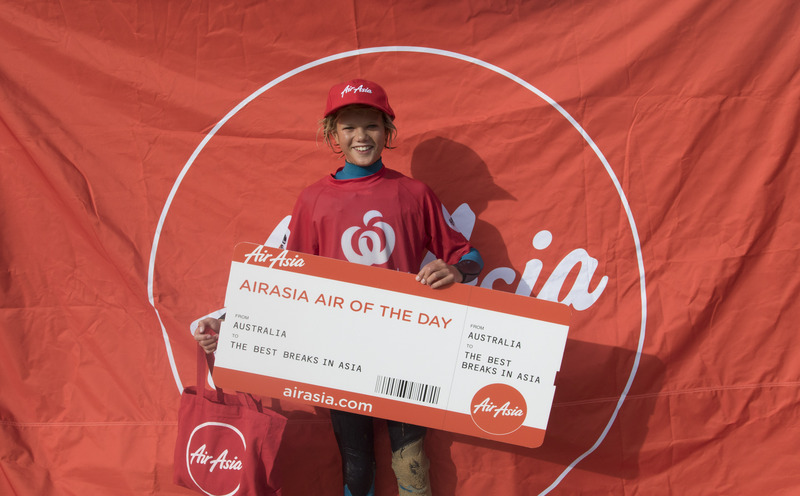 The Woolworths Victorian Junior Titles is supported by Air Asia, Coastalwatch, Kings Cars Victoria and Keiser.